Fixing your own iPhone isn't impossible and in most cases, can save you quite a bit of money. Whether you've busted your screen or have something stuck in a dock connector or headphone jack, we can help you fix it. Most of us have either had a hardware problem with our own iPhone or have known someone who has. While taking your iPhone to the Apple Store for a repair or replacement is always an option, so is fixing it yourself. 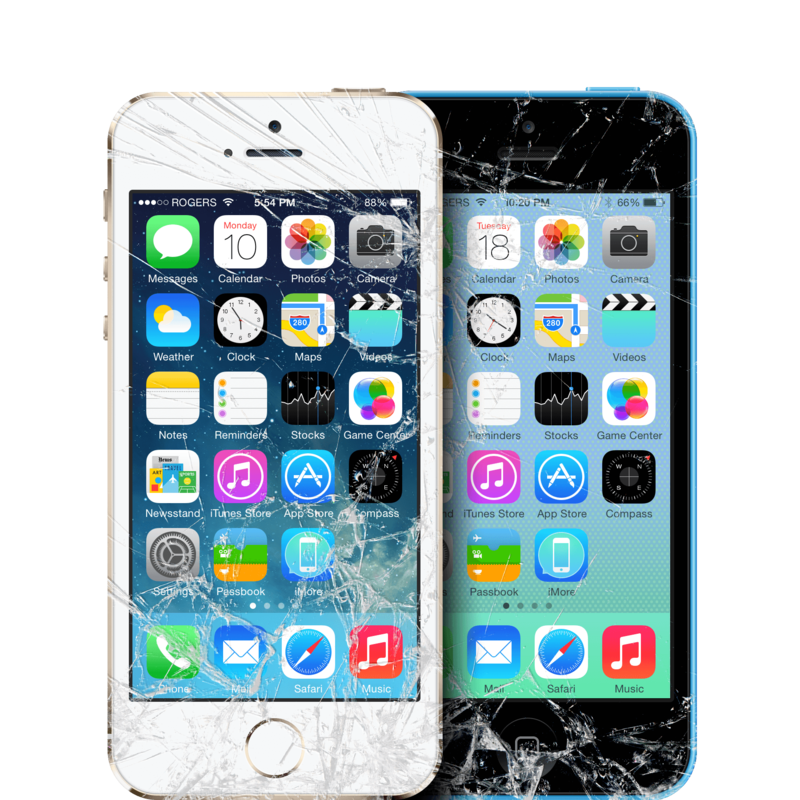 Smashed screens are the most common repair when it comes iPhone woes, which is why we put together an ultimate guide to fixing broken iPhone screens. Whether you've got an iPhone 3GS or an iPhone 5s, we've got the guide you need, complete with photos and step by step instructions, on how to get your iPhone back in working order again. We also realize that not every broken iPhone is a result of physical damage. No hardware design is perfect and the iPhone is no exception. Sometimes buttons, switches, Home buttons, power buttons, and batteries fail the minute we're out of warranty. That's just the way it goes. It's also why we've got those guides too. From replacing a dock connector to fixing an unresponsive Home button, iMore has you covered. We can also provide you with reliable sources for ordering your replacement parts and high quality tools. We only trust and recommend the best suppliers in the industry so you can rest assured the parts you're putting in your iPhone are not only safe, but warrantied against defects too. To get started with DIY repair, all you need is a little technical know how, a great guide, and the right tools. As long as you can bring the know how to the table, we can help take care of the rest! Shattered your iPhone 5c's screen? We can help you replace it in under 10 minutes! The ultimate guide to DIY repairing your broken iPhone 5, whatever the issue may be! Broken Home button? Here's the fix. Upgrading your iPhone or iPad? Want to keep your phone but switch carriers? Remove your SIM first! Here's how. You can now have your iPhone with a third-party battery worked on by Apple. Apple is really holding onto its promise to turn the company green. Don't throw out your old iPhone. Get it repaired instead! Apple's currently offering cheap iPhone battery replacements through December 2018. Here's what you need to know. Update: According to an internal Apple memo, replacement batteries are now readily available, and will be shipped without delay. The Apple Watch is Apple's most personal device. Given that it spends much of its time clinging to your wrist, it's no wonder the ultra-personal device gets a little grubby after a while. Clean away that grime and grub with these tips! Has your iPhone 6 battery been giving you problems? If you'd rather skip a visit to the Apple store, you can repair it yourself with a little patience and care. Whats the best way to jailbreak an iPhone XR? Whether it's a broken screen, Digital Crown jam, swollen battery, or you can't get a charge at all, here are the best ways to repair — or outright replace — your Apple Watch. Right now you can pick up this 48 piece toolkit for just $6.92 when you use the coupon code L3DH64VC during checkout at Amazon. Whether you're just having trouble connecting to your HomePod or are facing a more serious issue (“That sound is definitely not supposed to be coming out of my HomePod.”), here are the best ways to repair or replace your HomePod. Has your iPhone 6s battery gone the way of the dodo? If you don't want to visit Apple, you can repair it yourself with little muss or fuss. Yes, you can pull the power cable out of a HomePod… but should you? Should you pull the power cord out of a HomePod? Not unless you have a good reason. If you've wound up with a shattered iPhone 7 Plus screen, here's what you need to know about repairing it. Having trouble with an earbud or misplaced your case? Here are the best ways to repair — or outright replace — your AirPods.